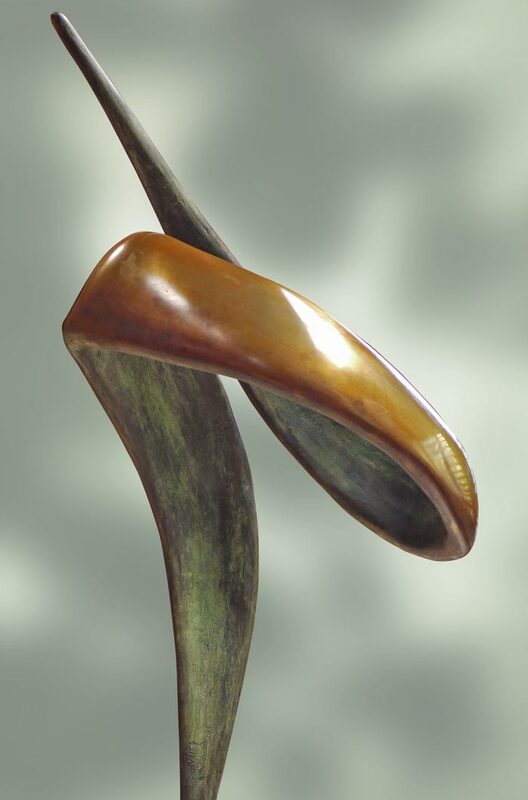 This modern bronze sculpture is simple and elegant and is one of Evas larger pieces at 88cm high. It uses two different patinas to highlight the polished surface. 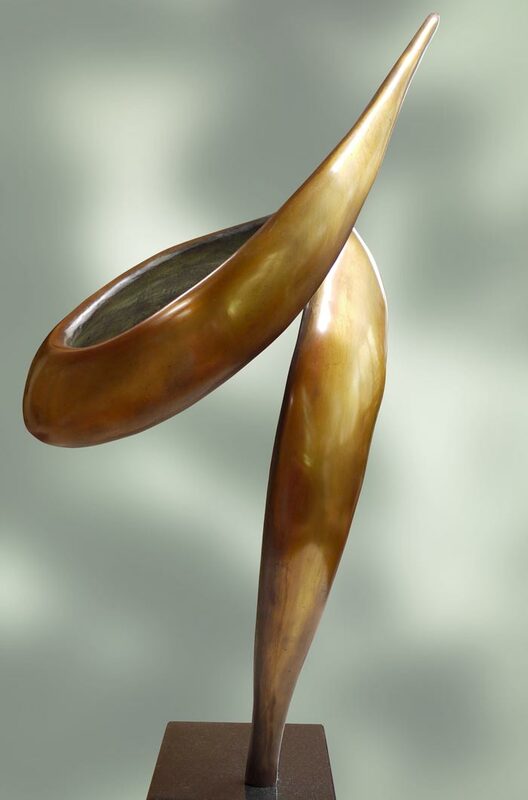 The shape invokes the feel of dancer, or just a beautiful shape.